Full face and neck muscle rejuvenation lifting and toning. 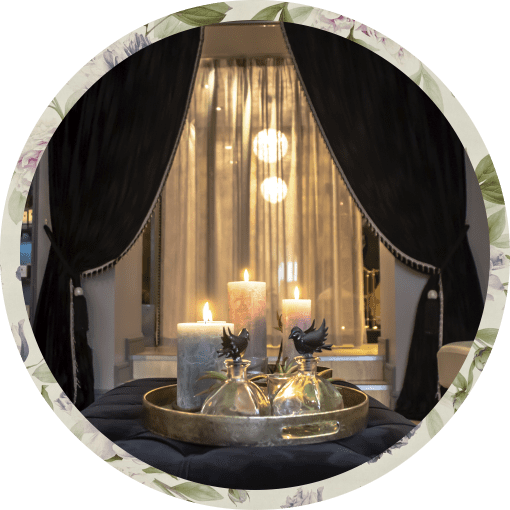 This facial introduces our breakthrough S.P.E.D microcurrent LED technology which uses light therapy to enhance results providing the very best in Caci Non-Surgical facial toning. Ultrasonic peeling and orbital microdermabration are used to exfoliate leaving a brighter, smoother complexion. 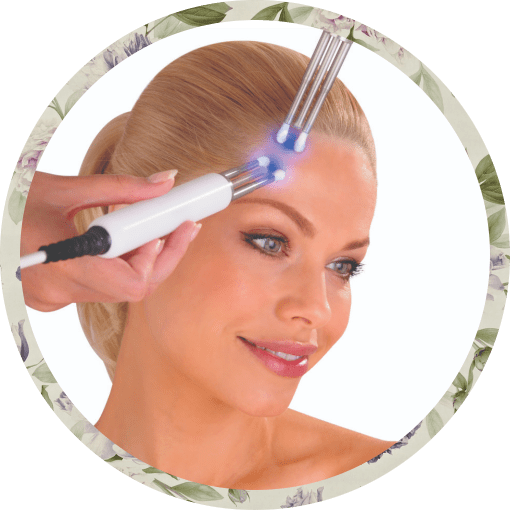 Microcurrent impulses combined with LED light therapy will then lift and tone the face and neck, followed by Caci’s unique wrinkle comb to target fine lines and wrinkles. The highly acclaimed classic non surgical facelift Re educates & lifts the muscles of the face achieving immediate & dramatic results. This soothing treatment targets severe acne concerns where exfoliation is not advised. The treatment uses blue and red light therapy ( renowned for its anti-bacterial and anti-inflammatory healing properties) combined with the Hydro mask to soothe and calm, as well as reduce redness and irritation. The gentle Eye Revive treatment soothes tired, puffy eyes, combats dark circles, reduces fine lines and wrinkles and lifts hooded eyes. The treatment uses serum filled CACI microcurrent eye rollers which have a cooling effect on the skin to gently tighten and tone sagging muscles around the eye area, whilst reducing the appearance of fine lines and wrinkles. The Caci Electro Cellulite Massager has been developed to give instant Lifting and Contouring on the buttocks and toning of the thighs. This 30 minute treatment will improve the appearance of cellulite and break down fatty deposits. It will also stimulate circulation and lymphatic drainage which will help to flush toxins away giving a smoother and tighter, dimple free appearance. A course of 10 is recommended with 2-3 treatments per week followed by monthly maintenance. If you are new to CACI we will assess your skin’s needs for your customised treatment plan inline with your goals; complimentary with a course of 6.